Japanese company Onkyo has today announced the release of two new home cinema receivers – the TX-SR707 and the TX-NR807. 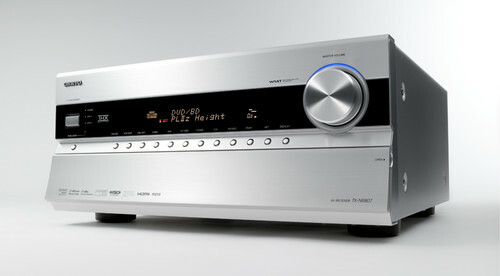 Both units are 7.2-channel receivers and are THX-certified. They both feature six HDMI inputs – which should more than cover most home setups, Audyssey DSX and Dolby Pro Logic IIz decoding, 1080p video upscaling, four dedicated DSP modes which will be useful for hard-core gamers and ultra-low jitter Burr-Brown 192kHz/24-bit DAC. The TX-NR807 is also internet enabled allowing for firmware updates and, more importantly, it’s equipped to stream audio and internet radio such as Last.fm. The units are available from the end of July and are priced at £700 for the TX-SR707 and £800 for the TX-NR807.